Park model Amusement Ride designed for the whole family complete with one vehicle carpet type for a total capacity of 10 riders. Each seat is provided with lap bar and safety belt. The vehicle makes complete revolutions (clockwise and counterclockwise) at adjustable speed up to 25 rpm. 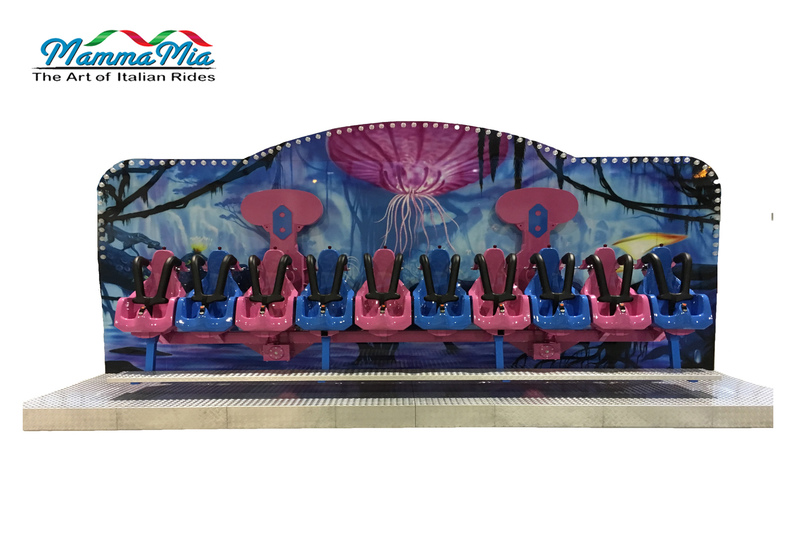 The ride is complete with self-standing painted structure, decorated and lighted back scenery, aluminum platform, main electrical panel with DC drive, control board. Attraction ready for operation.